Nothing says "Merry Christmas" like Victorian baby talk. Especially when it sounds like this. 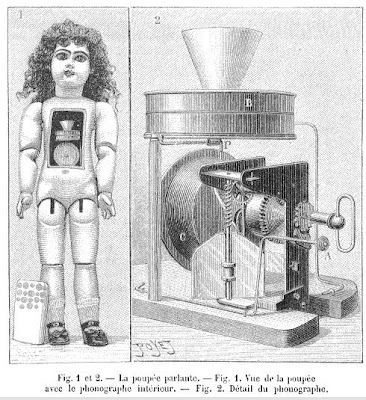 While we may never know what the ‘must have’ Christmas gift was in 1890, we do know that it most assuredly wasn’t Thomas Edison’s talking doll. Using miniature phonographs embedded inside, these “talking” baby dolls were toy manufacturers’ first attempt at using sound technology in toys. They marked a collaboration between Edison and William Jacques and Lowell Briggs, who worked to miniaturize the phonograph starting in 1878. Unfortunately, production delays, poor recording technology, high production costs, and damages during distribution all combined to create toys that were a complete disaster, terrifying children and costing their parents nearly a month’s pay. To hear this wee monstrous baby reciting, we are led to believe, "Little Jack Horner," click here. To read the entire story from which the above excerpt is drawn, click here. Sound from Archive.org. 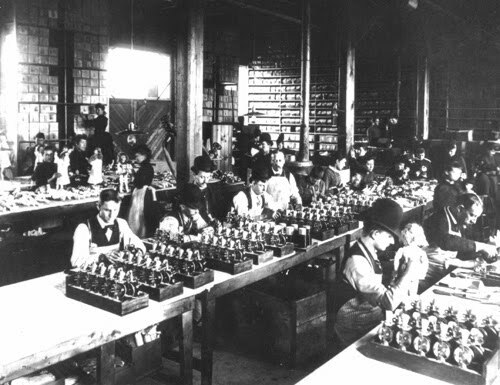 Thanks to my lovely friend Matt Murphy for this charming holiday tale about a rare Edison commercial misfire. 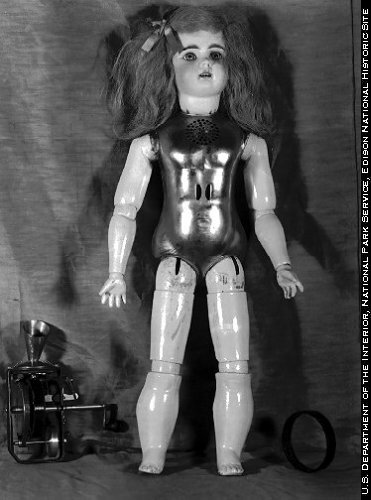 The book "Edison's Eve: A Magical History of the Quest for Mechanical Life" by Gaby Wood has a great chapter on these dolls.